Bittersweet Tour New dates added in 2015…an ARIA Award and 6 Golden Guitar Nominations! Since announcing that on doctor’s advice Kasey Chambers’ Bittersweet Tour dates originally scheduled for this year were being postponed until early 2015, comes the good news that additional shows have now been added in Geelong, Melbourne and Newcastle. The ‘Bittersweet Tour’ is Chambers’ first since the release of her tenth studio album of the same name, which debuted at #2 on the ARIA Album Chart, and earned Kasey an ARIA Award Best Country Album and a nomination for Best Female Artist. 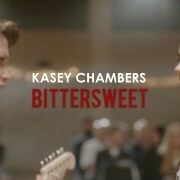 Kasey will showcase songs from ‘Bittersweet’ on the tour like the new title track single, a beautiful duet with Powderfinger’s Bernard Fanning – alongside long time favourites and hits from her award winning albums. Joining Kasey on the road is label mate Harry Hookey. Harry Hookey has also just been nominated at this year’s ARIA Awards for Best Blues & Roots Album for his debut release ‘Misdiagnosed’ and won the International Songwriters Competition for Independent Songwriter of the Year for the title track. Hookey has spent the year gigging the country from end to end, also supporting Busby Marou nationally and has recently supporting US Americana singer Ryan Bingham (who coincidentally supported Kasey in 2009). https://kaseychambers.com/wp/wp-content/uploads/2014/06/kc-logotype1.png 0 0 Milly https://kaseychambers.com/wp/wp-content/uploads/2014/06/kc-logotype1.png Milly2015-01-21 09:54:462015-01-21 10:55:35Bittersweet Tour New dates added in 2015…an ARIA Award and 6 Golden Guitar Nominations! It is with sincere disappointment and on doctor’s advice, that the Kasey Chambers’ Bittersweet Tour dates will be postponed until early 2015. Kasey has been diagnosed with small nodules and inflammation on her vocal cords, and therefore advised by specialists to severely lessen her workload, which will include postponement of her Bittersweet Tour and cancellation of her Queenscliff Festival performance. She will undergo vocal therapy for the next few months to repair the damage and ultimately avoid surgery. 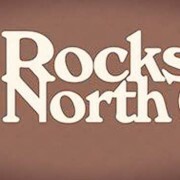 Kasey said, “I’m so disappointed that I will have to postpone the Bittersweet Tour due to 2 small nodules on my vocal chords. Doctors have advised that I lighten my workload considerably for a little while to give them a chance to heal, but luckily, if I take their advice, no surgery is needed. Thank you for the support over the last year, with some rest and a ‘no yelling at the kids to clean their room’, I’ll be back on track in no time!”. Tickets can be kept and used at the re-scheduled dates or refunded (excluding Queenscliff Music Festival), however please contact your venue for all detailed ticket information from Tuesday 28th October. The ‘Bittersweet Tour’ is Chambers’ first since the release of her tenth studio album of the same name, which debuted at #2 on the ARIA Album Chart, and just earned Kasey two ARIA Award nominations for Best Female Artist and Best Country Album. Today Show have premiered the new video for Kasey and Bernard Fanning’s ‘Bittersweet’ duet. Go to Mamamia http://bit.ly/YC78Wt for an exclusive preview! It is with much regret that Jimmy Barnes has had to cancel his appearance at the Deni Ute Muster on Saturday, 4 October due to ongoing health problems. Jimmy Barnes has been in hospital for the past few weeks after suffering further complications and setbacks as a result of elective back surgery. Despite all hope and assurances given that he would be well enough to appear, it is now clear that this will not be the case and his doctors have ordered complete bed rest and organisers wish him a speedy recovery. The Deni Ute Muster is an iconic “bucket list” event for all Australians and with less than a week to go, there’ll be plenty of men, women and kids, and their utes, descending on Deniliquin for the 2014 instalment of the “Muster”. With only 5 sleeps left until the Deni Ute Muster kicks off its 16th birthday celebrations, the set-up is well and truly underway with Mack the Transporter and Lightning McQueen – two of the stars of the incredibly popular Disney-Pixar animated films Cars and Cars 2 – and the hugely anticipated, record-breaking, supercharged Holden GTS Maloo (declared as the WORLD’s FASTEST UTE) already on their way to Deniliquin. Also on its way is the 1,000 horsepower JCB GT, a unique ‘one-off’ machine powered by a supercharged Chevrolet V8 big block engine and equipped with a belt driven supercharger and pair of four barrelled Holley carbs. The JCB GT will be operated by “The Dig”, the nickname given to JCB Demonstrator Matt Lucas who has travelled with the GT from the UK. The JCB GT will be joined in the Arena by the JCB Dancing Diggers, whose stunning acrobatics have become a YouTube hit. These exciting drawcards are only part of the popular attractions on tap at the 2014 Deni Ute Muster. Over the two days fans will be treated to the Bull Ride Spectacular, The Australian National Circle Work Championships, Yarn Bombing a Ute, the Ute Museum, Holden Grunt Off, Holden Barrel Race, Show ‘n’ Shine, Carnivale Corner, the World Record Blue Singlet challenge, helicopter rides, the mechanical bucking bull, woodchop demonstrations and Whip Cracking Championships and many more attractions setting the scene for what will undoubtedly be one hell of a Muster!! 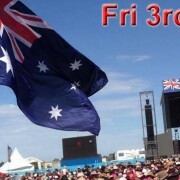 Muster MC’s, The Sunny Cowgirls will also take to the main stage on Saturday afternoon for their own performance that will certainly be one to watch. We also welcome back AFL Legend Billy Brownless, five time Olympic Medallist Melanie Schlanger and Olympic Swimmer Chris Wright as official Deni Ute Muster ambassadors at this year’s festival. The 2014 Deni Ute Muster is proudly supported by the NSW Government through its tourism and major events agency, Destination NSW. Off the back of three sold out city dates this month and to celebrate the release of her brand new album and number 2 ARIA chart debut, Australian singer, song writer and story teller Kasey Chambers will take Bittersweet on the road for a run of shows across the country throughout November and December. More so than ever before, Kasey Chambers is writing like a true storyteller. The broken-hearted nostalgia of title track Bittersweet, which will hit country radio September 22, captures the story of two old lovers from both sides. Sung as a duet with Powderfinger front man Bernard Fanning, Bittersweet showcases the exquisite song-writing and irresistible voice of one of Australia’s most gifted and enduring talents. Joining Kasey for all shows (excluding Thirroul) is nomadic young singer, song writer Kim Churchill. Kim first gained attention in 2009 when he won the East Coast Blues & Roots Fest’s busking competition and has regularly appeared on the Bluesfest line-up ever since. Kim returns to Australia from touring the US and UK supporting Billy Bragg and playing the 2014 Glastonbury Festival. Kim Churchill’s third studio album Silence/Win was released via Warner Music in May this year. Thrilled to show you the video for ‘Wheelbarrow’ – the 1st track from my new album. Thanks to The Music for the premiere. Hope you like it as much as I do! PS It’s cold in Bowral at 6am! The music of Kasey Chambers feel like its buried in Australia’s bones and Australia will be happy to know that on August 29, the singer, songwriter and storyteller will release her tenth studio album and first solo record in four years, Bittersweet. 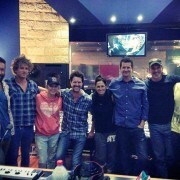 Produced by American Nick DiDia (Pearl Jam, Bruce Springsteen, The Wallflowers, Powderfinger, The Living End) at Studios 301 in Byron Bay, Bittersweet is something of a departure for Kasey from the ‘expected’. Pulling together a superb studio band to record the album, Bittersweet features Bernard Fanning on acoustic guitar, keyboard, piano, background vocals and lead vocals on the title track; Ashleigh Dallas on banjo, fiddle, mandolin and background vocals; Dan Kelly on electric and acoustic guitar and background vocals; Matthew Engelbrecht on bass and flugal horn and Declan Kelly on drums, percussion and vibes, Bill Chambers contributes background vocals. 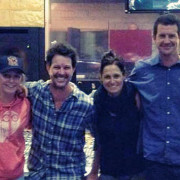 Sticking to her trademark no-nonsense live recording style, Kasey and the band recorded the album in just 7 days in April this year. The first single Wheelbarrow was written and performed with label and band mate Ashleigh Dallas. Wheelbarrow’s swaggerly blues perfectly captures Kasey and Ashleigh’s collective love for melding the new and antique. Their brassy, swaying vocals mingle with banjo beneath the swaggering layers of Dan Kelly’s overdriven guitar—thick, sweet and dirty. While title track Bittersweet harks back to the ballsy, alternative country rock that flavoured seven times platinum selling Barricades & Brickwalls, it also delivers some brand new soundscapes for the exquisite song-writing and irresistible voice of one of Australia’s most gifted and enduring talents. Bittersweet is again testament to the songwriting talents of an artist who has won 10 APRA Awards (she holds the record for the highest awarded solo APRA Songwriter in Australia across 10 studio albums), 10 ARIA Awards, 20 Golden Guitar Awards and nominations for 2 Americana Music Awards. Kasey Chambers will premiere her new album Bittersweet at the Gympie Music Muster, followed by three intimate east coast city shows in September. 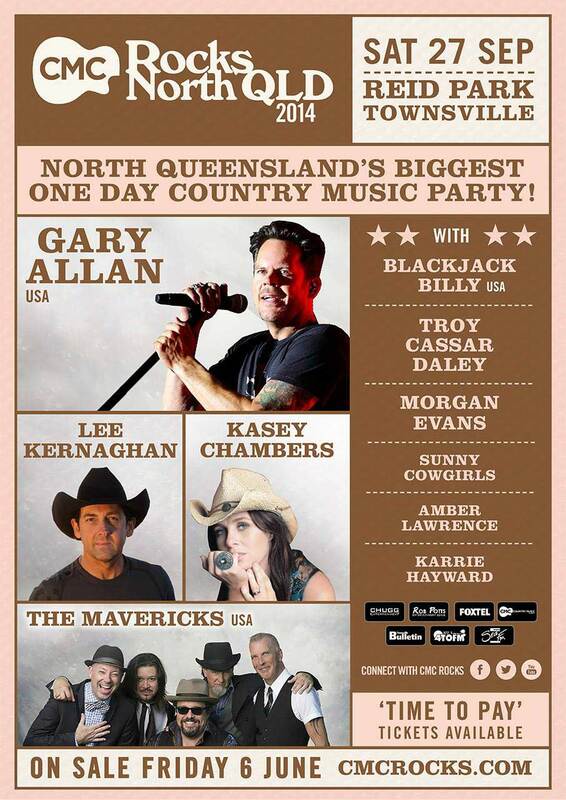 Kasey will be headlining the Gympie Music Muster (August 29 & 30) and playing songs from her new album, Bittersweet, for the very first time. She’ll then be doing three intimate east coast city shows in September. Watch this space for album launch tour dates & venues through September.